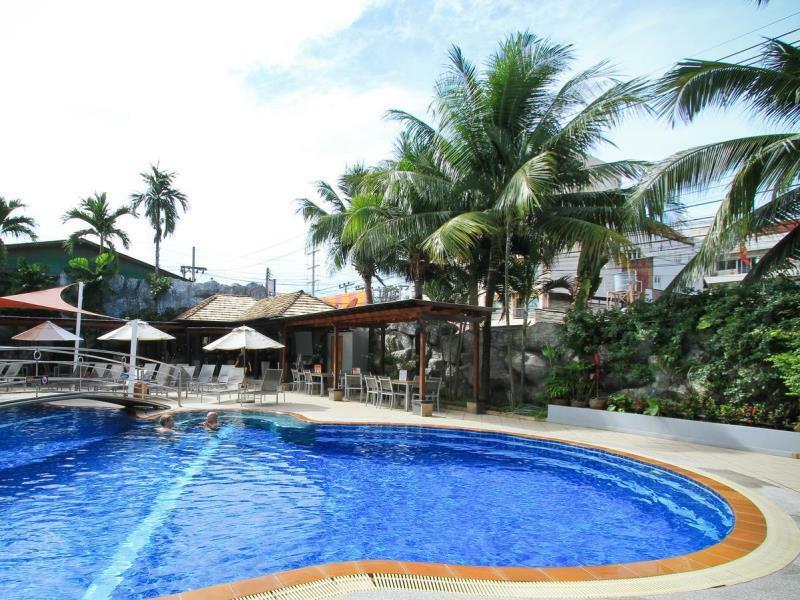 The Yorkshire Hotel, situated just off the bustling Bangla Road in Patong on the island paradise of Phuket, is a haven of peace and luxury for the traveller on a budget. 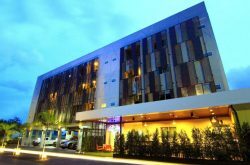 While there may be cheaper accommodation in Patong, there is not likely to be the same combination of excellent prices and sensuous luxury as can be found in the Yorkshire Hotel. The Yorkshire Hotel offers non-smoking accommodation in a variety of options. For luxury guests, there are elegant suites with all the amenities, while guests on a stricter budget are able to choose between several single-room options from the Large Double Deluxe room to the Standard room, which offers all the amenities and sleek decoration in a compact interior package. All of the hotel’s rooms are regularly inspected and maintained in order to offer hotel guests only the best experience while visiting the Yorkshire Hotel. The hotel is close to Phuket’s famous beaches, and also offers a swimming pool with a poolside bar, a sauna, and a steam room, for those days when the sand just gets too much. The hotel also offers a fully-operational gym, where holidaymakers can make sure they maintain their fitness during their stay. There is also a sports bar and restaurant, so you won’t have to miss any important matches during your stay at the Yorkshire Hotel, and there are individual televisions available as well. The restaurant and room service are excellent, promising delights in the form of traditional English cuisine as well as local and European dishes. The restaurant’s service is friendly an efficient, and the food simply to die for, while room service will have your order at your door almost before you’ve put the phone down. 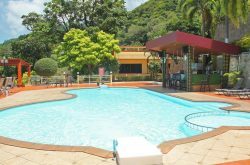 The Yorkshire Hotel in Patong is ideally situated to take advantage of Patong’s incredible nightlife, so if you want to dance the night away, the Yorkshire Hotel is an excellent place to stay, while still offering the kind of seclusion and quiet you need to recover for the next night of partying. Within blocks of such famous spots as the White Room Nightclub and the New Tiger Disco, yet far enough that once you’re back in your room you will not be disturbed by the sounds of partying, the Yorkshire Hotel is the best you will find when it comes to accommodation for partygoers. For shopaholic visitors, the Jungceylon, Phuket’s premier international shopping destination, is directly opposite the hotel, convenient for either a quick trot through the shops or a more leisurely amble. The hotel offers free Wi-Fi anywhere on the premises for the convenience of their guests, as well as laundry and dry-cleaning. 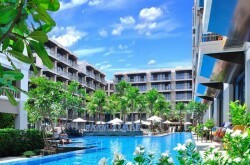 Book the Yorkshire Hotel in Patong for your stay on Phuket, for luxury accommodation on a budget. I didn’t stay here but the English Breakfast from their restaurant is probably the best in Patong.